Diana Bairaktarova, Assistant Professor of Engineering Practice, utilizes technology in the classroom in more ways than one. In the spring of 2014, she recorded her thermodynamics lectures using an Apple iPad. Bairaktarova would then upload the lectures to D2L for the students to view along with their reading before they would meet to cover the material in class. This allowed class time to not be solely lecture-based. As time went on with the iPad being one of her biggest teaching tools, she knew the idea of students using the same technology would be very beneficial. 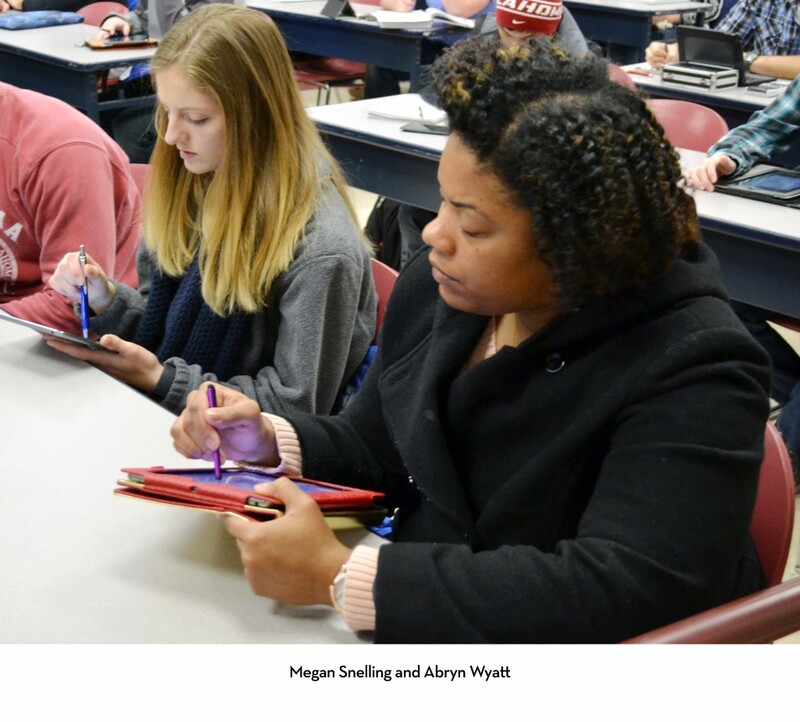 After receiving financial support from the OU Center of Teaching Excellence, the use of iPads for her students became a reality. 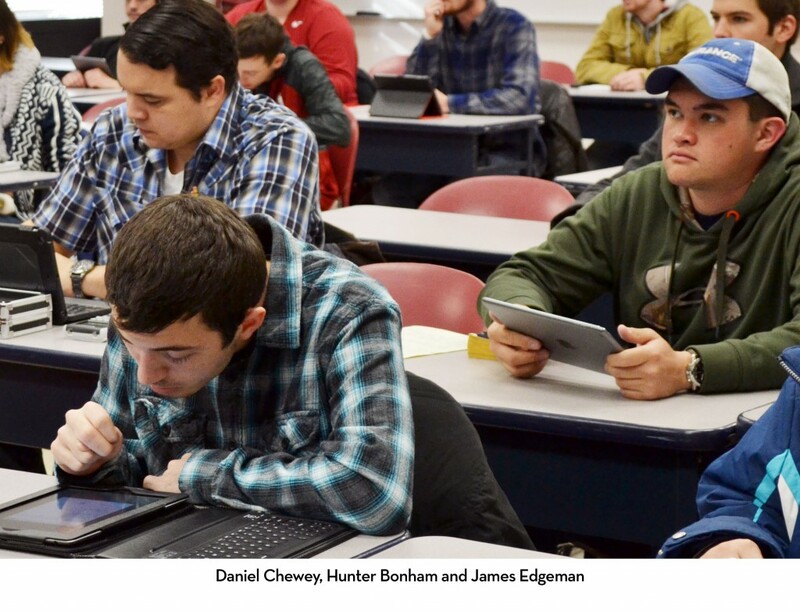 In the fall of 2014, the students in her thermodynamics section each had an iPad. With the help of a few apps, students used the iPads for everything for the course. At the beginning of each class period, Bairaktarova asked students questions, which they then answered using iClickers. Another bonus of using the iPads was that students were able to have all of their material and learning resources in one place from notes to lectures to homework. If they solved problems in class, it was available on their iPad for future reference. Students turned in homework using their iPads, which Bairaktarova would grade from the iPad and would even record her voice offering assistance to solve problems that may have been missed. While students worked on their end-of-semester creative group projects, they were able to virtually meet each other using the technology and working together when they could not meet. 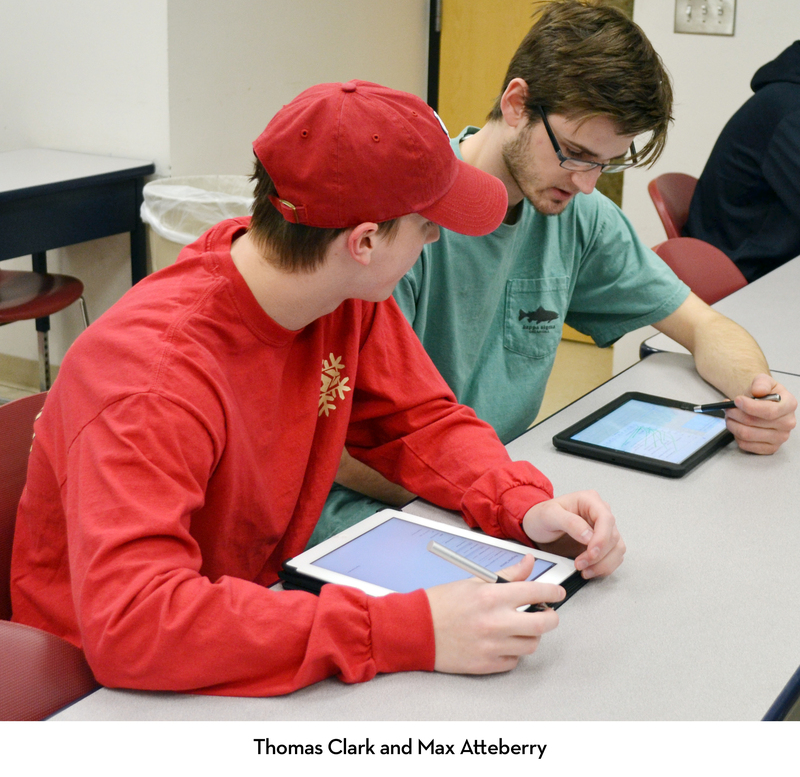 At the end of the semester, students were given a survey to identify what they enjoyed most about their thermodynamics class; the consensus was the use of the iPads and the creative group project. It is safe to say Bairaktarova’s use of technology and creativity was a fun and innovative way for engineering students to learn, even in a difficult subject like thermodynamics. Bairaktarova continues to use iPads in the spring 2015 semester in the design and manufacturing processes class. The above photos feature students from this course using their iPads.